When trying to access a protected resource, the server (the security check) will send back to the client a list containing one or more challenges for the client to handle. 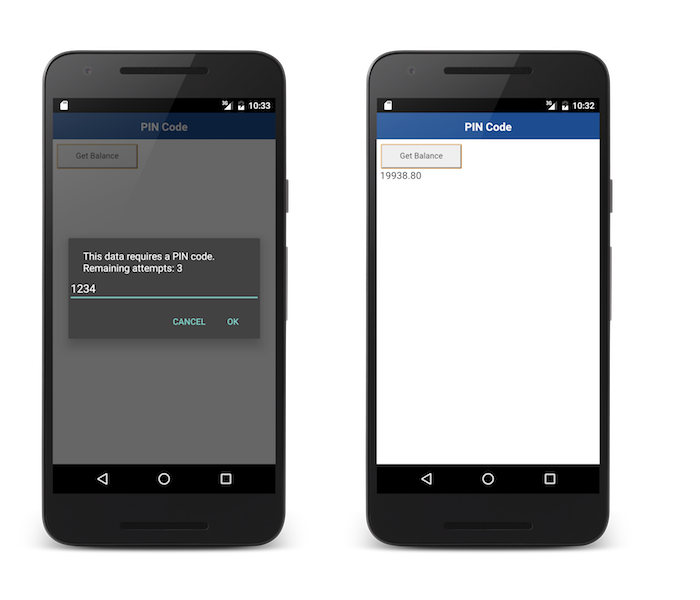 A challenge handler handles challenges sent by the MobileFirst Server, such as displaying a login screen, collecting credentials, and submitting them back to the security check. The minimum requirement from the createSecurityCheckChallengeHandler protocol is to implement the handleChallenge() method, which is responsible for asking the user to provide the credentials. The handleChallenge method receives the challenge as a JSON Object. Some scenarios might trigger a failure (such as maximum attempts reached). To handle these, implement createSecurityCheckChallengeHandler’s handleFailure(). The structure of the JSON object passed as a parameter greatly depends on the nature of the failure. Optionally, you can also choose to do something before the framework closes the challenge handler flow, by implementing createSecurityCheckChallengeHandler’s handleSuccess(). Here again, the content and structure of the success JSON object depends on what the security check sends. In the PinCodeAttemptsCordova sample application, the success does not contain any additional data. The PinCodeWeb and PinCodeCordova projects use WLResourceRequest to get a bank balance. Click to download the Web project.